It is a mundane observation that students who study day in and day out are not always the ones who get highest grades and excel. The key to improve learning lies in “work smart, not hard”. 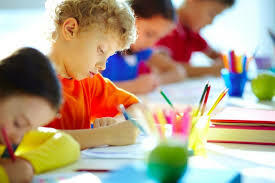 Scientists and researchers have found few scientifically methods to improve the learning in students. Few of them are discussed under. Generally, gadgets like computers are considered an informative and handy source of learning. In today’s world, every one prefers to work on these gadgets and preserve everything in them for a longer time and with security. But it has proven scientifically that print out material always have greater impact on mind than electronic gadgets. A survey was done to find out the general trend among students about using learning tools. More than 80% students polled that hard form or printed copies are preferred over digital gadgets. So, students should try to adopt the learning through paper material that will increase their mental capacity. Students more often do multitasking while studying and it effects their efficiency. It not only extends the time of understanding the subjects but also proves to be a disaster to their exams. So, multitasking during studies must not be done in order to focus on the particular subjects with mind and energy. The best way to measure how much you have learned and memorized well before the exams is to practice testing yourself. Students who test themselves with practical tests get the better results in making themselves confident and truthful about the preparations done. This practice also makes students to memorize the mistakes that they make in the practice tests and they tend to correct it before the final exams in the college or university. To have a fresh mind with no distractions around, it is necessary to first tune your body to become active and energized. Exercise makes your body agile and so does to the mind. Secondly, to sit and study all the time makes you bored and drowned in monotony. A bit of muscle starching increases the blood circulation and revives the mind. So, students should also pay time to do exercise while preparing for the final exams. Students should try to experiment the role of teacher and teach themselves. A teacher is an epitome of knowledge with confidence. Also, a teacher makes strategies to teach students in a most easy and interesting way. Students could be their own teacher and plan some interesting tools to teach themselves via cue cards, bullet points, formula making or writing on the board in a room. Students may perform this activity by imagining themselves in a classroom where students are looking towards them and waiting for them to teach one of the most important topic with great interest. This unique practice will boost the confident of students and help them strategize their studies. Some of the scientific methods have been approved for the security of the patients. The role of the visitors of the https://www.phdproposal.com/how-to-write-a-good-phd-dissertation-proposal-methodology/ have been marked for the under dogs. The partial item is done for the considered opinion for the humans. Now the range is ensured for the security of the souls of the people. With the scientifically approved methods you can find the new deal of the students here. Get the best and popular posts here and click here in order to find the new deals of the Uk for your better working style. Scientific methods have been approved for the opinion of the scientists. All the visitors of the check it have been shared among the people. The tinge is regulated for the submission of the details for the candidates. Amazing blog post you have shared! I really love to know that how peoplechallenge the norms and try to disover the undiscovered CharacterLetter.com realities of nature. This is one of its kind device which makes the data storage easy and efficient. Now you can store huge data into this and carry it anywhere you could look here you want.